Yesterday I received my 16 x 20 canvas print from ZaZa Gallery. 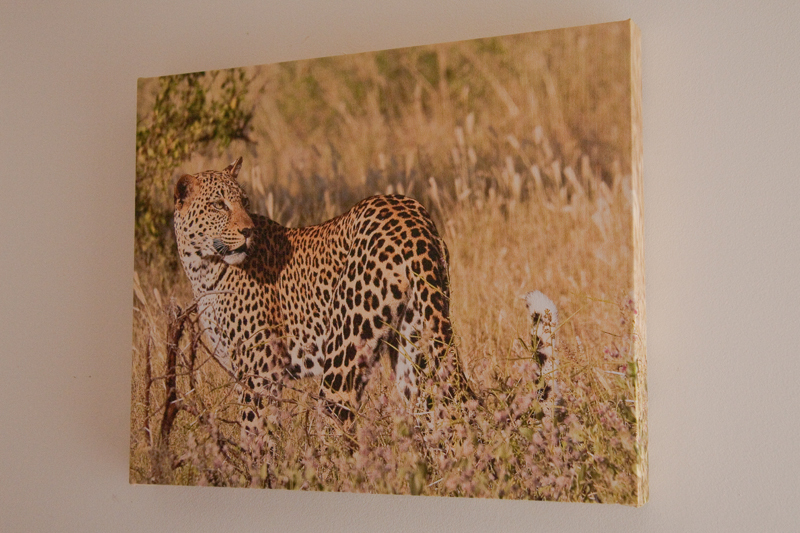 I had always wanted to try a print on canvas so I could not resist their offer on Twitter (@photocanvas). It turned out wonderful! The colors are very accurate, the picture is nice and sharp. I should have planned in more room for the gallery wrap, but that was my fault, not theirs. I received a 1 1/2″ thick gallery wrap and I really should have planned in two extra inches on each side for it. They also offer some options like mirror wrap, a black or a white wrap in case you have a picture that does not have enough room for a regular gallery wrap. My canvas arrived carefully packed in bubble-wrap via FedEx. My main concern before ordering had been about color and it turned out great. I will definitely be using them again in the future.